HTC Vive has just introduced two new VR headsets as part of CES 2019. 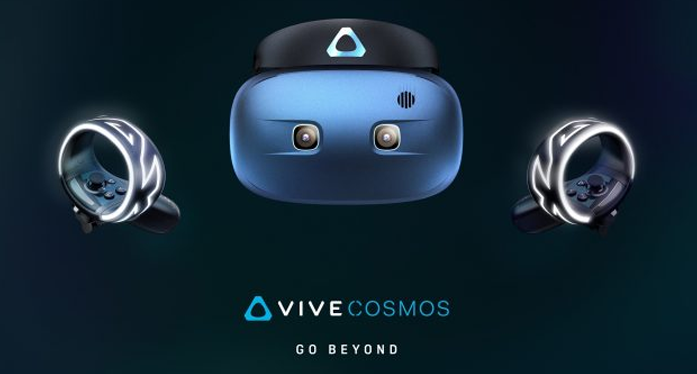 The Vive Pro Eye is an enhanced version of the Vive Pro with Eye Tracking, and the Vive Cosmos is a stand-alone headset running with the new Vive Reality software platform. 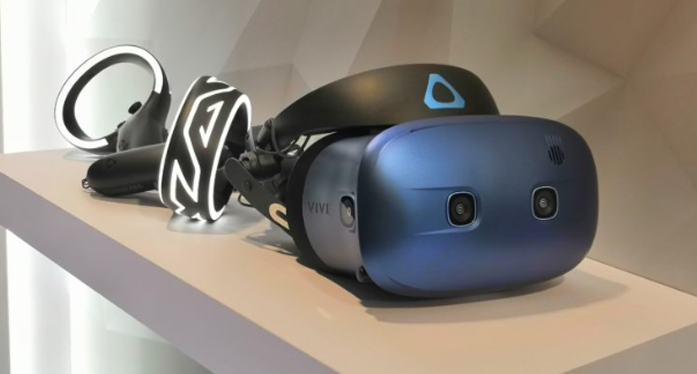 After marking the CES 2018 with its Vive Pro headset, HTC was expected to turn the corner for the 2019 edition of the famous salon. The Taiwanese manufacturer did not disappoint, by presenting not one but two new VR headsets. The suspense will not have lasted. Right from the start of its CES 2019 conference, HTC Vive unveiled its new VR headset: the HTC Vive Pro Eye. This is an enhanced version of the HTC Vive Pro (unveiled at CES 2018), featuring Eye Tracking. Until now, Eye Tracking was offered only by some high-end headphones for professionals such as StarVR One. In order to continue its breakthrough in the corporate market, HTC has made sure to catch up with these fierce competitors. 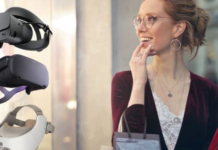 Thanks to eye tracking, the Vive Pro Eye enables foveal rendering: maximum image sharpness where the user looks, similar to the way the human eye works. 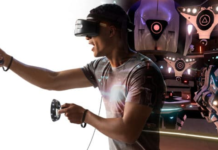 The Eye Tracking also allows more efficient use of the CPU and GPU of the PC to which the headset is connected, an acceleration of the interactions in the VR, and better accessibility. Several partners were present for the conference to present the possibilities offered by Eye Tracking. Aisni, BMW has introduced its demonstration application to try different configurations for a car and observe it in great detail in virtual reality. A baseball game called Home Run Derby was also on display. Available now, the title offers to connect the Vive Tracker sensor to a bat to play realistically to the favorite sport of Americans. In parallel with the launch of this VR headset, the president of Viveport is on stage to make several announcements. First, the manager returned to the excellent figures of the platform Viveport for 2018, including a three-fold increase in content sales and more than 100 new games in 2018. In addition, HTC announces Viveport Infinity: an unlimited subscription, comparable to Netflix or Spotify for virtual reality. 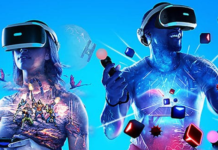 By subscribing to this offer, available from April 5, 2019, users will be able to access the entire Viveport application catalog. Finally, the Firefox Reality browser will now be available natively on Viveport compatible headsets. The Vive Reality System is a new software interface for virtual reality. 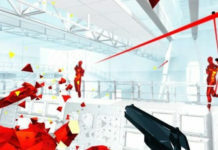 Rather than a 2D menu inspired by traditional computing, this interface is presented as a real virtual world that the user is free to explore at will as in a video game. It will be possible to meet with friends to socialize or engage in activities such as board games. To access other applications, users can go through portals called ‘Lens’. HTC ended its conference by presenting the Vive Cosmos: first virtual reality headset under Vive Reality System. This new headphone for the general public focuses on comfort and ease of use including a flip-up design. For now, it’s unclear whether it’s a PC headset or a standalone headset. After the Vive Focus stand-alone headset, HTC returns to its first love with a headset that requires a PC to work. The firm defends itself to present here the successor of Vive but it is rather a parallel range. If it needs a PC to work, the Vive Cosmos has its integrated tracking system with 6 degrees of freedom (6 DOF). For now, HTC has not made it clear if the connection is wired but apparently it would also be possible to connect a smartphone. This leaves us thinking that this will be a VirtualLink connection that is possible via USB Type-C and that would make it possible to operate the headset with high-end smartphones instead of a PC. The HTC Vive Cosmos will be available later in 2019 at a price for now that remains secret. It will be compatible SteamVR, which guarantees a catalog of games therefore from the launch. 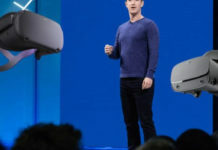 Among the other details that are known for the moment, the helmet will have an inter-pupillary distance adjustment and an integrated cooling system. It will be possible to tilt the front panel to be always connected to the real world and the headphones are also embedded. 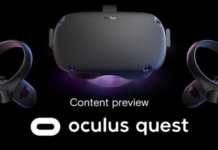 Previous articleOculus Santa Cruz: Coming this quarter of 2019 for the replacement of the Rift? Next articleAce Combat 7 VR: The New PSVR Bomb Available on PC in 2020?